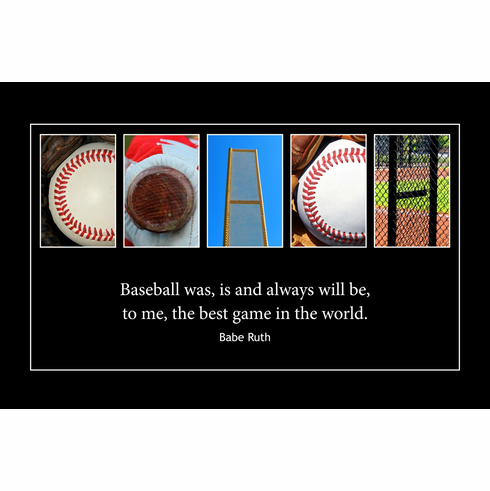 This unique 12" x 8" plaque is made with baseball letters which spell out the word COACH. Includes Babe Ruth quote, "Baseball was, is and always will be, to me, the best game in the world." ~ 3/8" thick plaque is $69.99. ~ 1" thick box plaque is $84.99.